When you enter the Marketing and Entrepreneurship classroom, at Randolph Career Technical Center, the students greet you with a smile and are eager to share their current project. Most people think of entrepreneurship as owning a business and making as much money as possible. However, under the leadership of Program Manager, Mrs. Brown, the students are learning about another side of entrepreneurship: giving back and community responsibility. 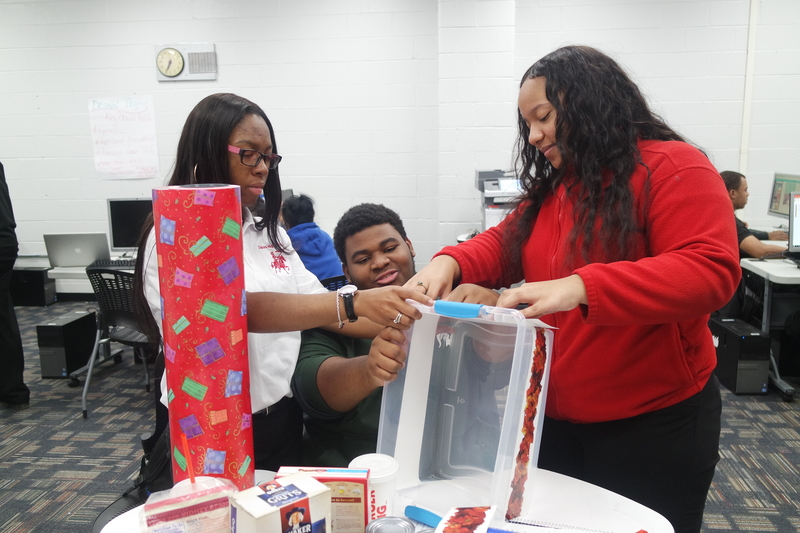 The students work collaboratively as they create holiday gift baskets and fill them with food items for needy families within the community. The students are also designing greeting cards and writing original messages of hope and well wishes. What an inspiring way to celebrate the holiday season!